Now that football season is over, we need an excuse to see friends. The long winter months leads friends and neighbors to hibernate in their houses. What better way than to get people together than with a game night. 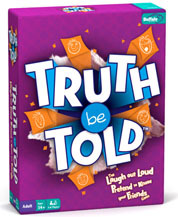 Buffalo Games has a great selection of games that will surely get everyone laughing and make the party a night to remember. Here are a few of my favorite games that have been a hit with our parties. Do you have to have the final say? Here is a game that is perfect for you all knowing personality. The rules of the game are simple. First a topic is determined. Topics can be simple like animal, food item, or sport. Second, the first letter of the word is said. For example, "G." Players go around the table shouting out answers. The player with the "last word" advances to the finish line. With a timer set a varying intervals, players never know when the buzzer will sound. This game is great for players who think quickly on their feet. Also, you need to think of some strategy to make sure that you don't run out of answers. For example, you pull the subject card cereals and the letter "c". Of course, there are some obvious answers, Cheerios, Chex, etc. But there are a few players will through out Cookie Crisp, Cocca Puffs and who can't forget Captain Crunch. 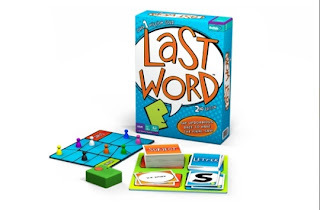 Last Word retails for $24.99. What items are classic pairings? When it comes down to it, most items in our lives involve a description and a subject. Simple right? These two components are the basis of Likewise. Players come up with answers to a two word pairing. It can be two items that make sense together or totally unrelated items. For example, your pairings could be manly fast food or smelly thing in the fridge. Players either write down a word or picture depicting his answer. The most matched answer wins. This game is more about knowing how your opponents will answer versus being the most creative. I found the game works best with family members or good friends. New people to the group, or people who just want to be off the wall, can make the game funny, but it is harder to win. Likewise retails for $24.95. How well do you know your neighbor? What about your sister-in-law? In Truth Be Told, you finally know some of those little, hidden facts about each other that don't come out in normal conversation. The rules are simple. The "host" reads out a question. For example, Truth be told: it would be difficult for me to give up, or when I'm in the shower I think about_ Each player writes his answer and the host writes his answer too. All answers are read aloud. Players vote and the top answer wins. It really pays to be creative in this game. The simple or obvious answers just don't get it done. Plus, players need to know how to bluff. If you can keep a straight face and push the envelope, you will do will in this game. Truth Be Told retails for $24.95. Don't let another weekend go by without seeing friends and neighbors. 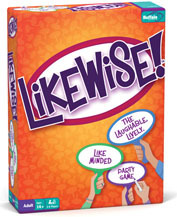 Gather everyone together for a fun party game and get the laughs flying thanks to Buffalo Games. Disclosure: I received these games to review. All opinions are my own. We love family game night.. thanks so much for these new game ideas! My nephew is one of those kids who always has to get the last word. I'll have to pick up that game for us. Looks so fun! My family has a love of games. We have a family game night every week. We will definitely have to add these to our collection! Love games! So much fun! It sound interesting. I decide to buy one from b2c website,then play with my friends. These look like so much fun for family game night! I have always wanted to do game night with my family. These look like perfect games to use for that.